Apple FM bids a fond farewell to Tony Smedley, Tony is leaving the station and hanging up his headphones to spend more time with his family. 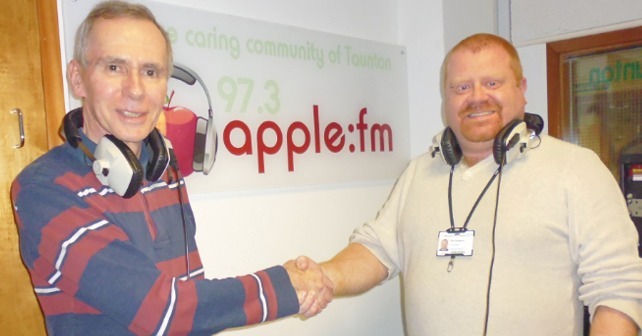 We are sad and sorry to see Tony leave and he will be greatly missed by all at Apple FM and of course his regular listeners in and around Taunton.Tony has been with Apple through many of it’s journeys and has presented various shows. He is highly regarded for his work over the years and here, at Apple we couldn’t be more grateful!Apple wishes Tony well for the future and the very best in his move to Norwich to spend more time with his Grandchildren.